Online Turf is a reputable grower and distributor of good quality turf. We distribute our good quality turf all over the UK to many satisfied customers. We currently grow two varieties of good quality turf. Stadium turf is a hard wearing family lawn turf, and Rye Gold is an ornamental turf. Both of these varieties of turf can be viewed through our turfcam which allows you to see the quality of the turf on a particular day. To see what other customers think of a good quality turf, why not visit our feedback page? Online Turf is passionate about producing good quality turf and ensuring we provide an excellent distribution service. We deliver freshly harvested turf straight to you within 24 hours of ordering during the working week, or at a later time that’s more convenient to you. We provide a weed-free quality guarantee so you can be confident of getting good quality turf. 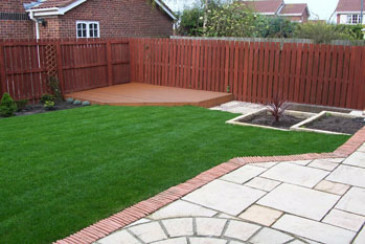 Have a look at our turf page to find the ideal turf for your garden.